Here's the random crap I warned you about; more or less everything I converted during the summer. I have so much stuff I need to upload that it just seemed easier to get this over with in one go. Most of these are things from showtime that I wanted to get around to before Supernatural was released (fail!) and the rest is store content that I've found myself in need of at some point. Everything is in sub-folders and labelled so you can pick and choose what you like with as little hassle as possible. 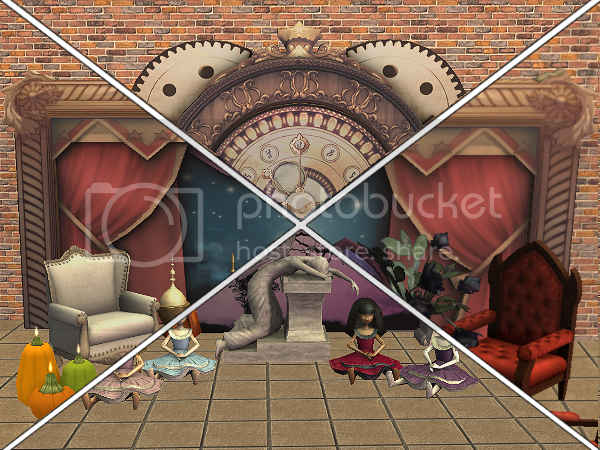 I know I'm not the only one who didn't get to download the Blackfyre set before it disappeared, so I made my own. I wanted a Bella-ish recolour of the doll and got a little carried away again! The original just looked so gloomy. 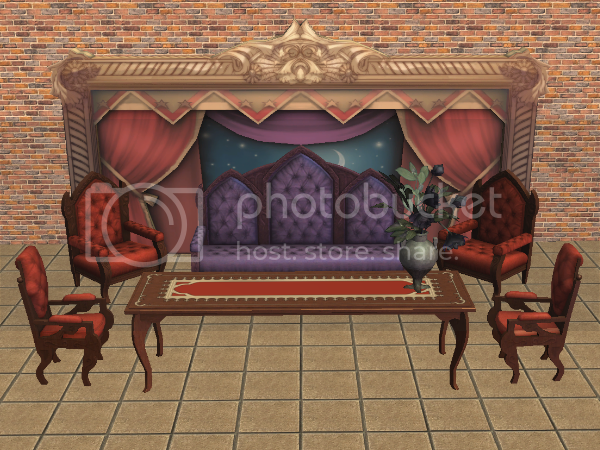 EDIT: Okay, just found out this set is actually already converted by zeussims here http://zeussims.livejournal.com/4898.html. So sorry about that! Likewise, in case anyone didn't have the chance to download Romanvaloppi's Gothique set, I've uploaded my own. The couch and living chair come in red and purple, and the living chair is a recolour of the mesh in my old file. It's included here, but make sure you let one override the other so you don't end up with duplicate files. 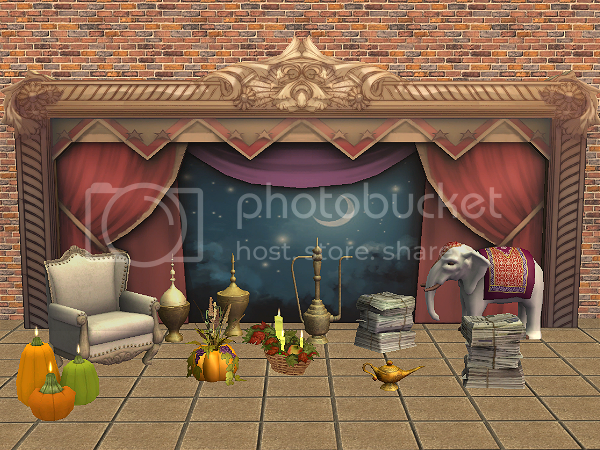 The "misc" folder includes store stuff (India Inspirations, harvest bounty/fall fruition, chair from Provence,) and the backdrop, genie lamp and newspapers from Showtime. There are two newspaper stacks because one of them is a chair, the other decorative. The harvest candles are cloned from the candle that comes with the Holiday Edition, so you probably need that for them to work. You're welcome! 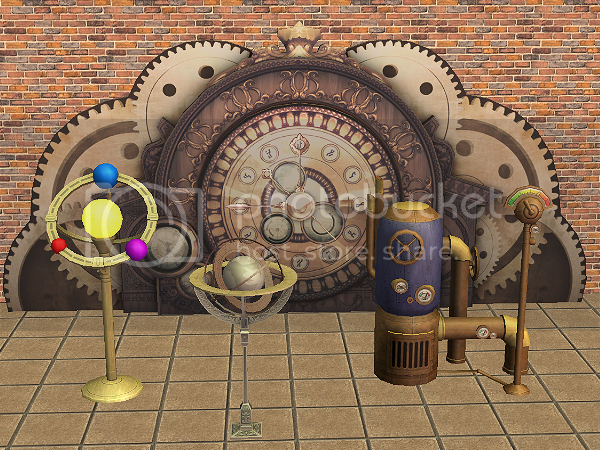 I have so much of your stuff in my game. Everything looks gorgeous. Thank you! Thank you so much for sharing Delonariel. Thank you for the lovely conversions! Glad to be of service. I wanted something to decorate the journalism building with. Oops that was my anonymous comment about the heffalump. Thanks again! Yay for more conversions! I love the Bella doll! Thank you for sharing your hard work. You're welcome! And I went pretty crazy with the doll lol. I made something like fifteen recolours all in all. All of this is great! Thank you!